What are the closing costs when you buy or sell a home in Mexico? The following is a rough breakdown of the costs (in US dollars) for closing a property purchase on the Baja Peninsula. The fees for the fideicomiso given here are with Banco Interacciones...they vary from bank to bank. The other fees can vary based on which Notary and attorney are used. Closing costs in the Baja Peninsula are slightly more expensive than those in Canada and the United States due to the cost of the trust document (fideicomiso) that is necessary for foreigners to be able to purchase property. The Constitution of Mexico does not allow foreigners to hold title directly to property on the Baja peninsula and other coastal areas of Mexico. Instead, the property is held in the name of a bank trust. This trust allows the beneficiaries to act in the same manner as an owner would in the US or Canada. Second beneficiaries can be added within the trust to establish automatic inheritance of the property in case of the death of the first beneficiaries. This trust agreement gives all the normal rights of ownership. You may use, occupy and possess the property, build on it or rent it. You may sell the property, either by instructing the Bank to transfer the rights to another qualified owner, or by dissolving the trust and allowing the buyer to set up another trust. The initial term of a fideicomiso is 50 years and it can be renewed each 50 years indefinitely. 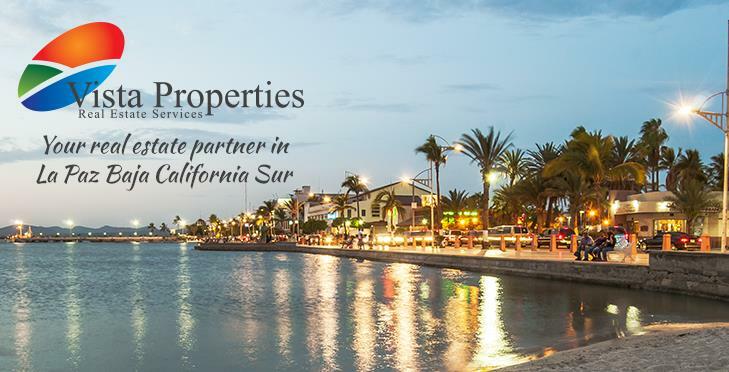 At Vista Properties, we can help you with all aspects of purchasing or selling a property in Mexico. Please contact us for help with all your real estate needs. Casa Teena is waiting for you! Pool, high-quality furnishings and details, casita, garage! Lovely neighborhood! Once you see this home, you'll fall in love with it.